This position will report to a Project Manager and will be based in Vancouver, BC. 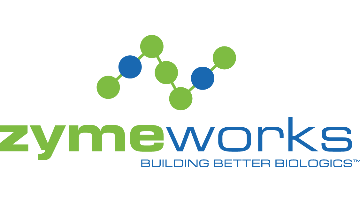 Coordinator and administrative contact between Zymeworks departments and external collaborators. Schedules recurring meetings, organizes agendas, records and distributes minutes, ensures adherence to Gantt standards. Works with teams and other PMs to understand internal project priorities and coordinate understanding of these priorities with our external collaborators. Provides administrative and logistical support for journal subscription program and other internal programs as needed. Maintains project management templates, reviews and organizes data ensuring consistency and adherence to internal procedures across projects, functional area and departments. Assists Research Project Managers in the documentation, identification and scheduling of project deliverables, milestones and required tasks. Oversees document formatting and control, collates data for patents and presentations and provides other document support as needed. Monitors entries uploaded to Electronic Laboratory Notebook to ensure compliance to corporate standards and ensure timely review and approval by scientists. Participates in team meetings, records meeting minutes and follows up on action items discussed during meetings. Coordinates Project Management and Operations departmental meetings, set agendas, record meeting minutes, document and follow up on action items. Assists with calendar management for the project management team. Provides oversight over Wiki page and Sharepoint structure as per internal standards. Fosters effective and collaborative working relationships with fellow employees and management. If you are interested in this challenging opportunity, please apply online at https://zymeworks.bamboohr.com/jobs/view.php?id=165. Due to the high volume of applicants, only those selected for interviews will be contacted.